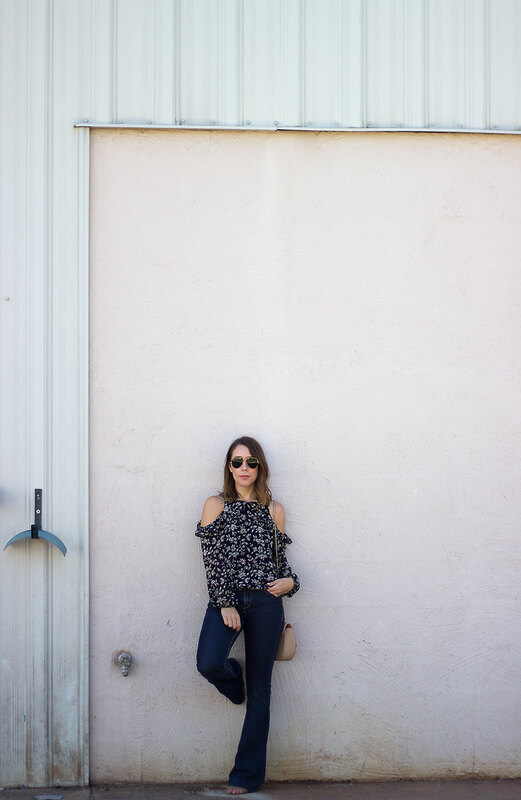 When the cold shoulder trend appeared, I was not a fan. 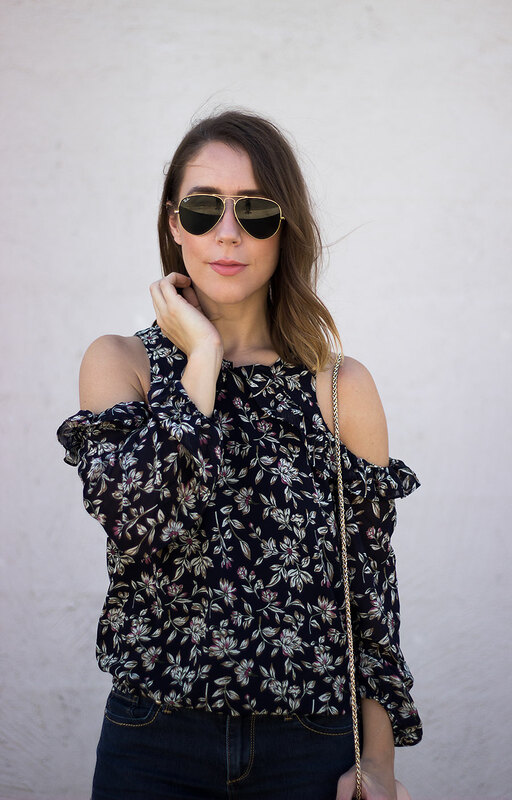 Off-the-shoulder, I was all for, but the something about the cold shoulder look just turned me off. Did you all have a good weekend? My brother and his girlfriend were back in town and he had turned 21 over the summer when he was back in Michigan, so we did a night out on Friday and then spent Saturday at the pool with them. Sunday was all about relaxation and getting ready for the week. These photos are gorgeous, Shannon! You and your hubs make a great team with your beauty and his photography. I'm loving it! And oh, how I would love to go back to being 21 but retaining all the experience of my 39 yr old self. LOL! Blouse is amazing! Love it with the flares! I've been looking for a good pair of bell-bottle jeans, might have to snag these! LOVE this outfit, girl! So gorgeous! That blouse is giving me life right now!! Such a beautiful print and you styled it perfectly! I need that top in my life! So cute! 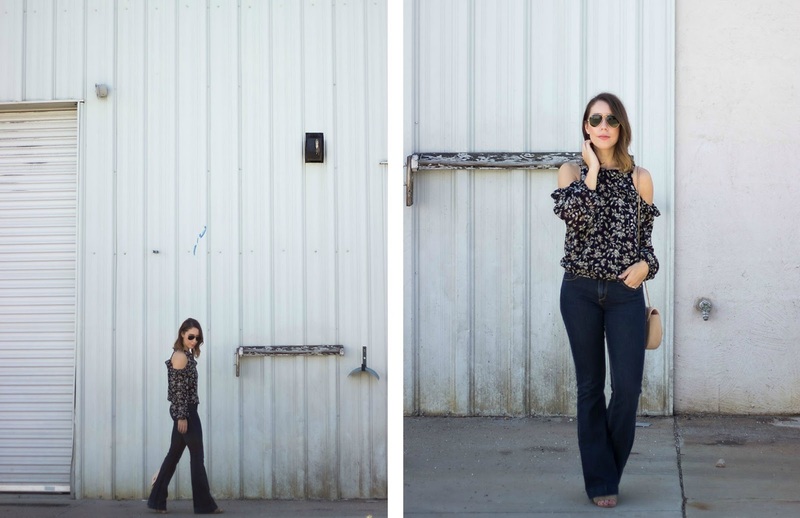 Loving this top with the flares! 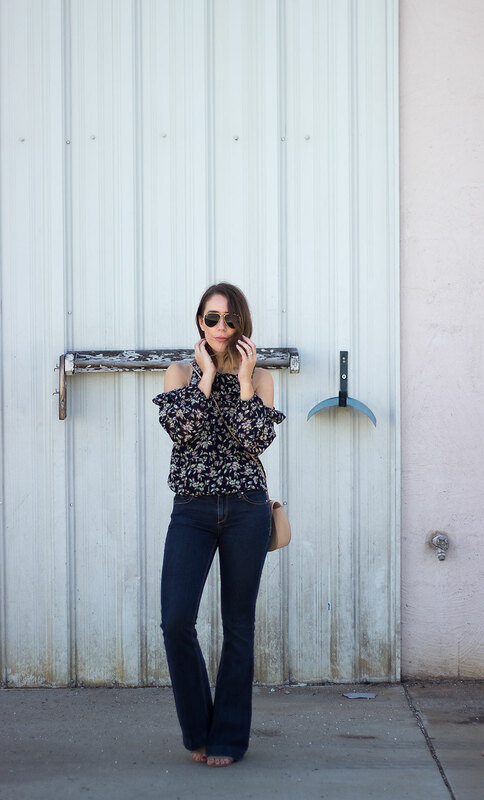 I actually haven't bought any cold shoulder tops, but I think I'm warming up to them, too. Yours is so cute and I love how you paired it with those flared jeans. I'm obsessed with all things off the shoulder. Absolutely love this! 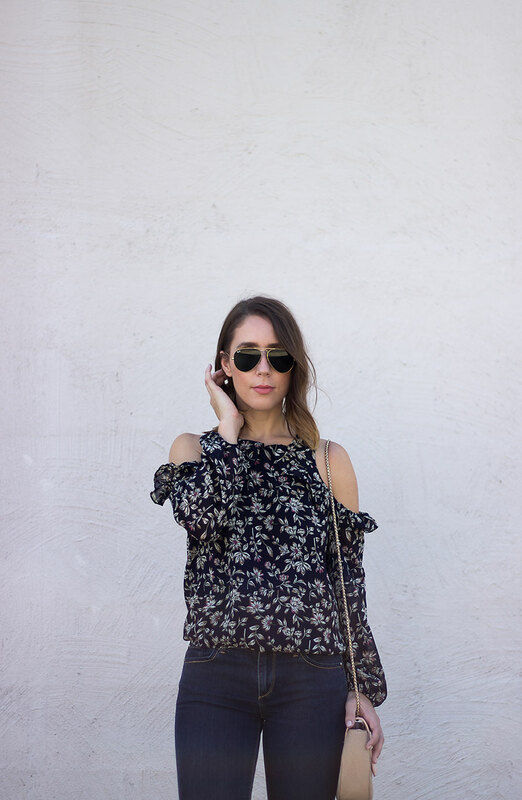 Loving that ruffled top! So perfect for fall! This top is so adorable. I love the cold shoulder! Love this very 70's look!! I need a pair of flares like these!! 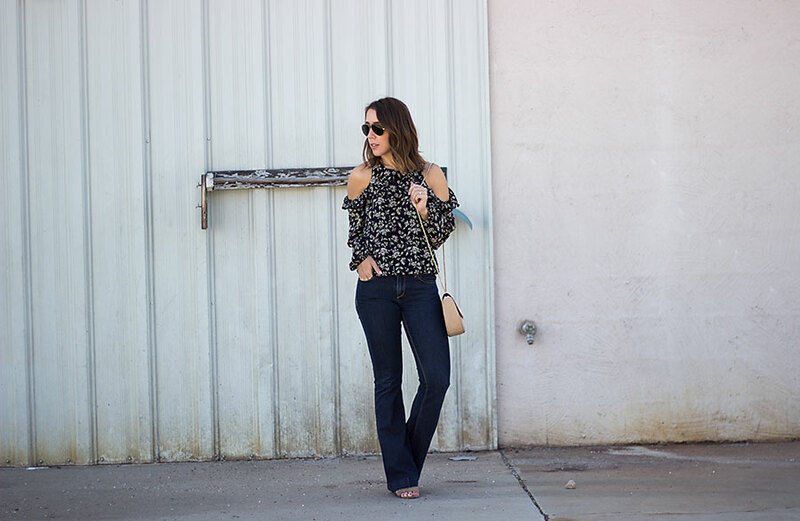 I'm digging the floral cold shoulder blouse with those flare jeans!